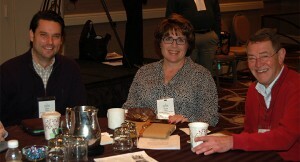 Jane Nitschke participates in a breakout session. Excitement, inspiration and a sense of community filled Lasallians as they headed back to their ministries following the Huether Lasallian Conference in Chicago. “This is awesome. I’ve had a lot of fun,” said Jane Nitschke, a religious studies teacher at La Salle Catholic College Preparatory in Milwaukie, Oregon. 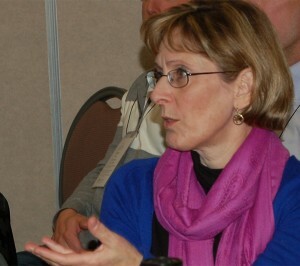 Nitschke, like many participants, found inspiration in the various sessions. “I was just typing madly and coming up with different ideas of what can I do in the classroom,” she said. That desire to learn new ideas drew more than 300 participants to Chicago for the 41st Huether Conference, which took place November 20-22 with the theme The Lasallian Mission: Word, Witness & Invitation. Participants heard powerful addresses by John L. Allen, Jr., associate editor for The Boston Globe, about Pope Francis, and Dr. Carole Eipers, vice president and executive director of catechetics of William H. Sadlier, Inc., who creatively invited attendees to open the door of faith to others. John Donohue-Grossman, director of retreats at La Salle Manor Retreat Center in Plano, Illinois, led an interactive closing session during which participants focused on the practical nature of their experiences during the conference and generated best practices to take home. 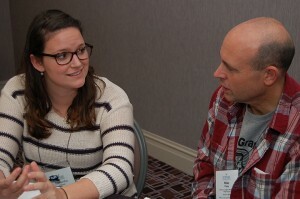 Huether also featured two pre-conference workshops and musical contributions from singer/songwriter David Hass, who is the director of The Emmaus Center for Music, Prayer and Ministry and campus minister and liturgical choir director at Cretin-Derham Hall in St. Paul, Minnesota. Additionally, the conference took time to honor outstanding Lasallians. 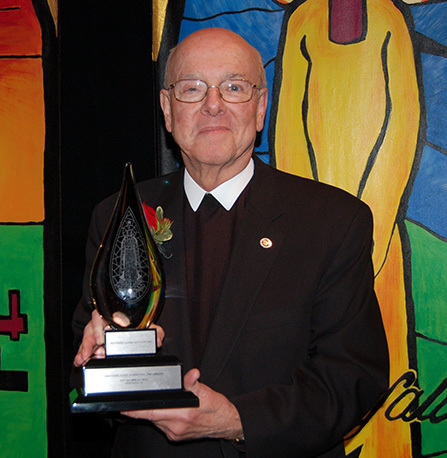 On Thursday night, the Lasallian Region of North America presented the Brother John Johnston, FSC Award to Brother James Gaffney, FSC, D.Min., president of Lewis University in Romeoville, Illinois. The conference concluded Saturday with Mass and the Distinguished Lasallian Educator (DLE) Awards Banquet where seven Lasallians were honored. For some, attending a Huether Conference is an introduction to the wider Lasallian family. Whether it’s with repeat participants like Harr, or first-time attendees, the feeling of family is something participants often mention. 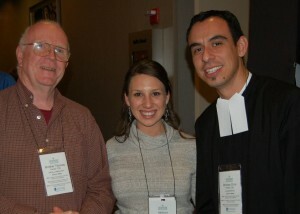 Brother John Kane, FSC, president of Calvert Hall College High School in Baltimore, Maryland, echoes many participants in saying that developing connections with Lasallians in different ministries is one Huether highlight. That community building, combined with inspiring addresses and insightful breakout sessions, provides witness to the strength of the Lasallian mission. Huether will return to Chicago for next year’s conference, which will be held November 19-21, 2015, on the topic of educational community. It will take place at the Holiday Inn Chicago Mart Plaza, the same site as the 2014 gathering.